Being a college student is hard. These productivity-boosting apps make it a little easier. We’ve probably all heard the phrase, “Good grades, sleep, or a social life? Pick two,” and this saying is especially applicable to college life. 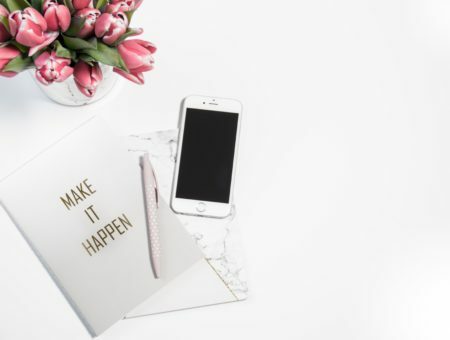 Oftentimes, juggling an array of deadlines and time commitments while still managing to have a healthy social life can feel next to impossible. Instead of feeling overwhelmed, enter the semester calm and organized by downloading these ten apps, which can help you with everything from finances to lecture notes to staying healthy. Trust me, you’ll be glad that you did! Say goodbye to the days of e-mailing yourself files to access on other computers. 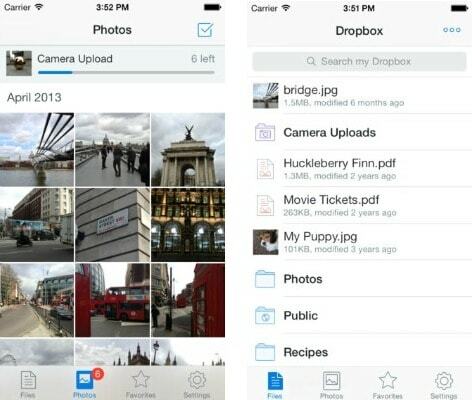 Dropbox is a free app that serves as a personal cloud storage service. This means you can store your documents, photos, and videos with the app, and then access them from any computer or app-supporting device. Not only is it very convenient, but this app also makes file sharing and collaborating with a team a cinch. Each semester brings with it a mountain of lecture notes, syllabi, outlines, projects and various other pieces of paper to keep track of. Instead of fretting over keeping all of these files organized, save yourself some time and space by downloading Snap2PDF. 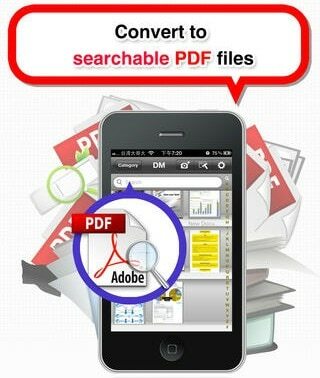 This app utilizes your phone or tablet’s camera to take a photo of any document and convert it to an easily accessible PDF document that can be shared with friends. The next time you need to find that syllabus from your Lit class in a hurry, instead of frantically tearing apart your desk, it’ll be only a few taps away in your PDF library. What doesn’t this app do? InClass allows you to set terms, courses, instructors, and assignments, as well as take text, audio, and visual notes, which can then be easily synced to your computer or shared via Facebook or iTunes. InClass makes keeping track of assignments a breeze, displaying them all on a calendar categorized by course, task, and priority. It also gives you the ability to set reminders for courses and upcoming tasks so that you never forget an assignment again. 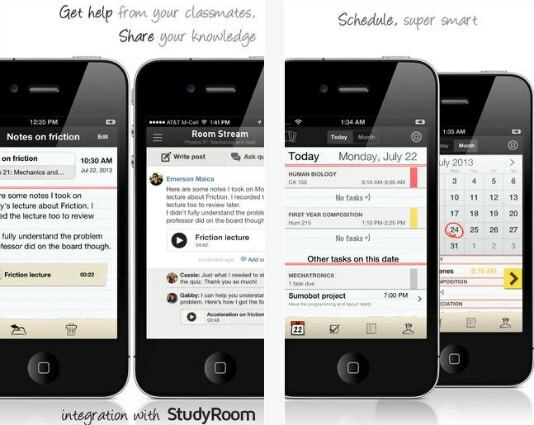 This really is the do-it-all app when it comes to staying academically organized. Clear is a super simple app that allows you to keep track of your various to-do lists and sync them with other devices, so you can access them anywhere. The tasks are color-coded and ordered by priority. 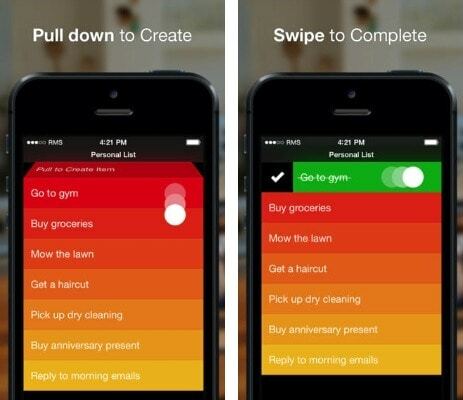 Once you complete a task, remove it from the list with a simple swipe. It’s easy interface makes it a must-have for any college student. 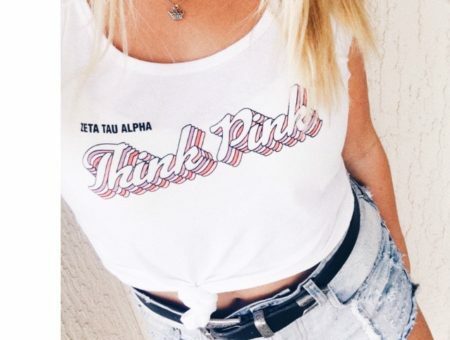 Every college girl should be informed, but we often don’t have the time to comb through website after website to stay up-to-date with what’s going on in the world. 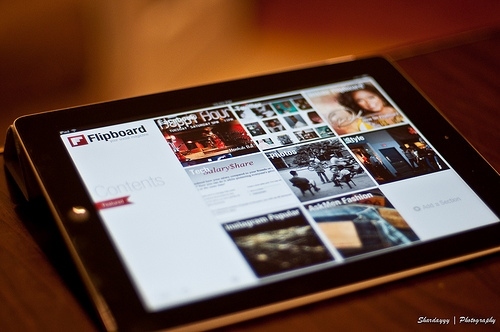 Flipboard is a free app that brings all of your news together in one place, thus creating your own personal magazine. The best part? You can sync it with your social media accounts! That way, while browsing the day’s news stories, you can also keep up with what’s going on in your friends’ lives. The hustle and bustle of college life, where a bag of Ruffles and chocolate chip muffins from the vending machine become an acceptable meal, can often leave nutrition and fitness in the dust. It’s not that you don’t care about being healthy, but with so much going on, it can often drop lower on your priority list than it once was. 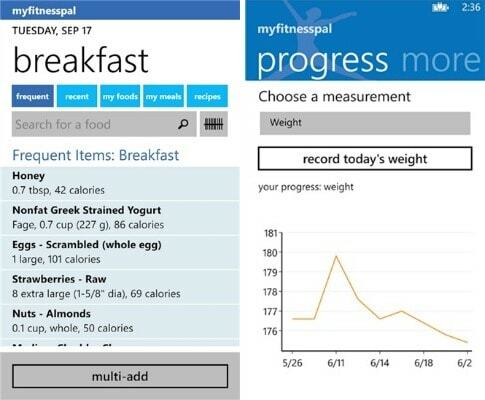 My Fitness Pal is a great way to set goals for yourself, track what you are consuming, and log your exercise. It’ll tell you how many calories you are eating, what percentage of your daily needs are being met or exceeded, and what you need to do to meet your personal goals. My Fitness Pal makes staying healthy a quick and easy experience – something that any college girl can appreciate! On that note, for the 21+ crowd, Intellidrink is a handy app that is more sophisticated than your typical BAC calculator. 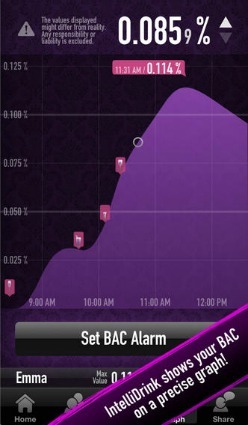 This app can tell you your precise BAC level and allows you to watch it fluctuate on an easy-to-read graph. It gives you the ability to track you and your friend’s BAC levels simultaneously, and even tells you when you will be sober again. It can often be easy to lose track of how much you’ve drank in a single night, but Intellidrink allows you to set limits for yourself ahead of time and sends you a notification when you’ve reached a self-specified BAC level. 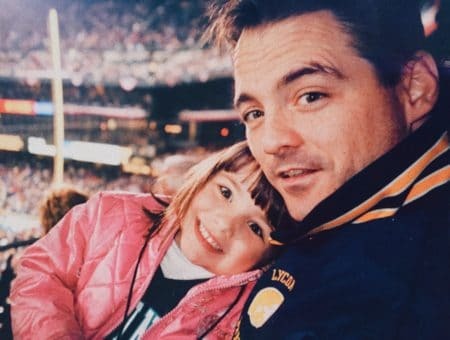 Avoid regrettable decisions and rough morning-afters by setting limits for yourself with the help of this app. Stay within your budget with the help of Mint! 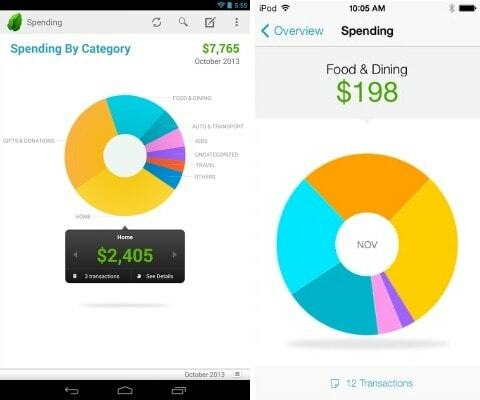 This app allows you to track your spending, and will divide it into various categories, therefore giving you a visual of how your money is being spent. Mint also gives you the option to receive various alerts, and will notify you when you are going over budget or your account is low. For those looking into the future, Mint offers advice on how to meet your savings goals, and shows how financial decisions today will impact your savings at the end of the month or year. This is only the beginning of its endless list of features. Take responsibility for your finances with the aid of this free app and watch the savings pile up. You know those times when you go out to dinner with a group of friends and everything is great – that is, until the check comes? 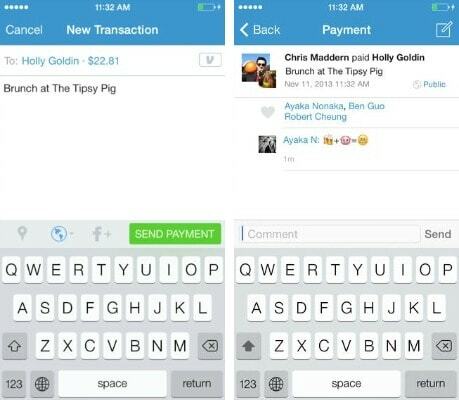 Trying to figure out who is going to pay whom can become a huge hassle that Venmo, thankfully, eliminates. Once you sign up for an account you can send or receive whatever amount of money you need straight to your friends’ bank accounts with the press of a button. No more post-outing awkwardness! It also functions as a very easy way to pay rent, utilities, or other bills. It’s an inevitable part of the college experience: you go out with your girls, you set down your purse, and you’re having such a great time that it doesn’t dawn on you until the next morning… you have absolutely no idea where your wallet is. 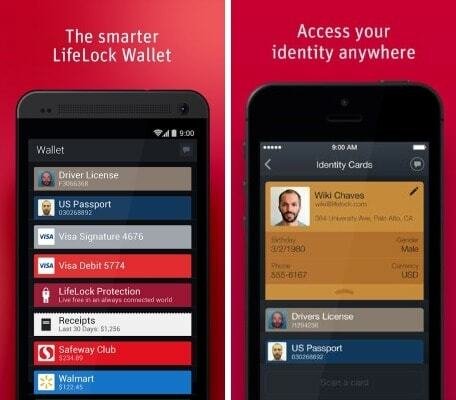 This is where Lifelock comes in, serving as a digital wallet where you can upload credit card information and coupons, so that they are easily accessible wherever you go. The app also allows you to track all credit card transactions and cancel any lost or stolen cards with the press of a button. Not only is it extremely convenient, but it is also a much safer, stress-free way to go out. With the new year upon us and spring semester about to begin, there is no better time to take advantage of opportunities to get organized. 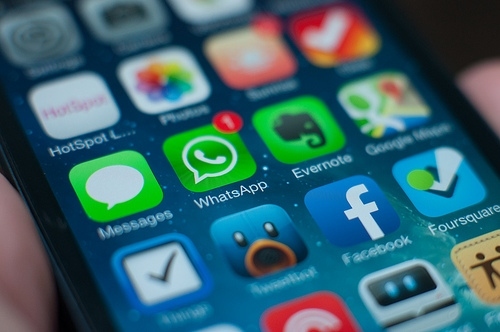 What apps are keeping you organized? How will you stay on top of things this semester? Let us know your thoughts by leaving a comment below!